We can fix almost any Projector. We’ll get you back in relaxing mode in no time. 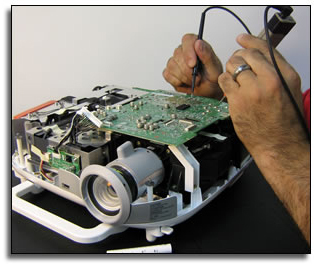 All of our Projector repair work are guaranteed on parts and labor for 90 days! We know how important it is for you to have your video projector in optimal conditions. Do not risk putting in inexperienced hands, OnTech Force has specialized exclusively in the repair and maintenance of video projectors. Our qualified Projector repair technicians can perform troubleshooting as well as repairs of many components in a projector. We are located in Plymouth, Michigan, Detroit area. We service all major makes and models. Whenever possible we try to repair a part before replacing it. The landed cost to you is much less than what a manufacturer charges for a replacement part. 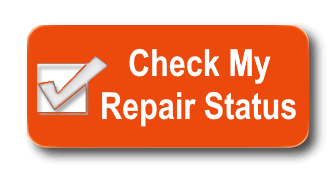 Diagnosis of your machine is FREE if the repair is authorized after successful diagnosis. A charge applies should customer choose not to go ahead with repairs after a successful diagnosis. OnTech Force not only provides Projector repair in the Metro Detroit area, we also have a very comprehensive Projector rental service for businesses located in the Detroit area and surrounding cities with front door delivery.